Owner Ed Ansin had put the frequency for the independent station into the Federal Communications Commission’s buyback of local TV airwaves last year. 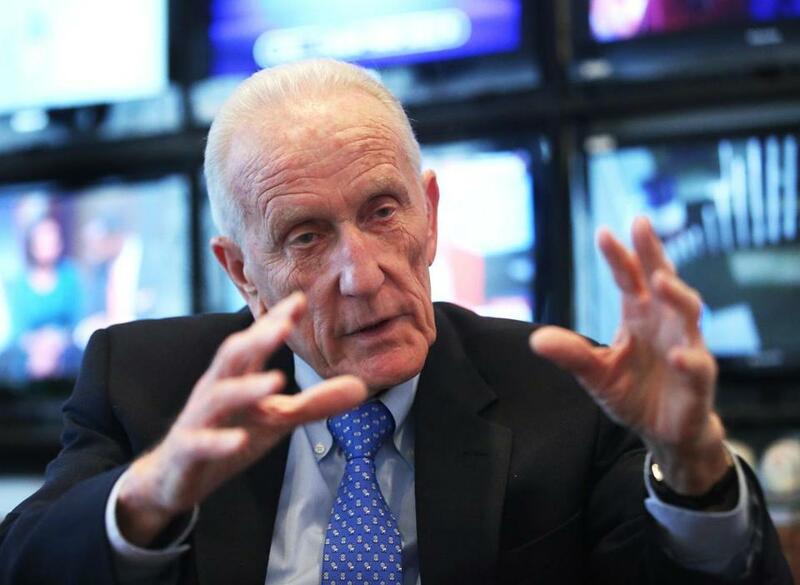 The broadcast signal for WLVI-TV (Channel 56) has been sold for an undisclosed sum in the federal government’s auction of spectrum, owner Ed Ansin said in an interview Wednesday. Ansin had put the frequency for the independent station into the Federal Communications Commission’s buyback of local TV airwaves last year. The FCC had valued WLVI’s signal as high as $452 million. Ansin declined to say how much the signal sold for, beyond “a lot of money,” but said the price did not come close to the FCC’s posted value. He bought the station for $113.7 million in 2006. The veteran broadcaster said he will continue to operate WLVI, which airs the CW network, but in a channel-share arrangement with another station he owns, WHDH-TV (Channel 7). The two stations will continue to run their own programming and keep the same channel numbers. The CW on Channel 56 is popular for shows such as “Supergirl” and “The Vampire Diaries.” WHDH, which parted ways with NBC in January, is now an independent station on Channel 7 focused on local news. An FCC spokesman said the agency is not confirming any auction results until bidding concludes in April. Last year, the FCC conducted an auction for broadcasters to sell their frequencies to the government, which in turn sold the airwaves to wireless companies, such as Verizon and AT&T, hungry for more broadband. Many local TV station owners viewed the auction as a once in a lifetime opportunity to cash in. Winning bids for the airwaves totaled about $10 billion. Ansin also met with WHDH staff Wednesday afternoon at the station’s headquarters in downtown Boston and released more ratings data for the month of January. The 80-year-old billionaire owner contends WHDH has been able to build an audience by airing live newscasts during primetime hours between 9 p.m. and 11 p.m. — when it previously aired NBC shows. After losing the network affiliation, Ansin doubled down on local news by adding staff and upgrading the Channel 7 set. “I am amazed how well things have gone,” Ansin said. In anticipation of lower ratings without a network, WHDH had discounted advertising rates, but it plans to begin raising prices, Ansin said. Ad buyers anticipated the breakup of NBC and WHDH would shake up the Boston TV landscape, with more competition from the network’s new station, WBTS-TV, and WHDH going independent. WHDH has also likely benefited from an unusually busy news cycle that included the inauguration of President Trump, the Women’s March, and the Super Bowl parade. Karen Agresti, executive vice president of Trilia Media, the media arm of advertising agency Hill Holliday, said it’s too early to tell whether WHDH’s gamble will pay off and said more data are needed.